Our range of products include antifoaming agents, coker unit antifoam, antifoam emulsion, silicone antifoam, silicon defoamer and non silicone defoamer. Chemtex Speciality Limited deals with the manufacturing of Antifoaming Agents which are specially designed antifoam emulsion that provide optimum antifoam performance combined with excellent dilution stability and foam knock down performance. Coker Unit Antifoam cause existing foam to breakdown, unlike antifoams which prevent its formation. Chemtex offers a wide variety of Antifoam for various applications. Foam is stabilized by surface elasticity and surface viscosity, making it difficult to break. Silicones have low surface tension enabling them to flow easily over the film seeking out openings between the foam stabilizers (surfactants). The product's low surface tension and interfacial properties combined with their lack of foam-stabilization properties cause the foam wall to thin and collapse. 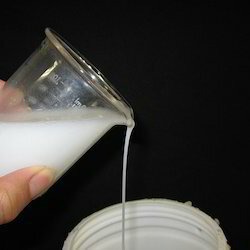 Antifoam Emulsion is a general purpose emulsion based on silicones designed to provide optimum antifoam performance combined with excellent dilution stability and foam knock down performance. Chemtex Speciality Limited is an ISO 9001, ISO 14001 and OHSAS 18001 certified company that specializes in the manufacturing of Antifoam Emulsion. It has also established itself to be among world's renowned multipurpose chemical exporter having its facility in India. Chemtex's greatest business vitality and strength are its technical and manufacturing knowledge and a well developed technical service team. Silicone Antifoams prevent foam formation. Chemtex Speciality Limited offers a wide range of superior quality Silicone Antifoams for various applications. Silicone Antifoam serves as a super concentrated emulsion designed to provide optimum antifoam performance combined with excellent dilution stability and foam knock down performance. Silicone Defoamers cause existing foam to breakdown, unlike antifoams which prevent its formation. Chemtex offers a wide variety of Silicone Defoamers for various applications. Foam is stabilized by surface elasticity and surface viscosity, making it difficult to break. Silicones have low surface tension enabling them to flow easily over the film seeking out openings between the foam stabilizers (surfactants). Silicones’ low surface tension and interfacial properties combined with their lack of foam-stabilization properties cause the foam wall to thin and collapse. Chemtex Speciality Limited has been involved in the manufacturing of a wide range of industrial chemicals for over a period of 45 years. 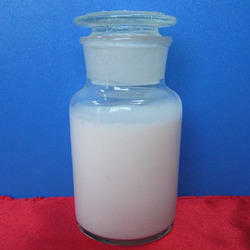 Non Silicone Defoamer can be counted as one of the chemicals among the manufactured range. 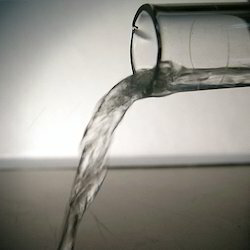 Chemtex offered Non Silicone Defoamer serves as an effective and conventional non reactive acrylate flattening agent. It is used for reducing the thickness of the paint film wherein molecular weight is comparatively low.Non Silicone Defoamer, manufactured by Chemtex Speciality Limited, is made using high quality non-ionic emulsifiers and paraffinic polymers that aids in ensuring high end performance. Chemtex Speciality Limited manufactured product Defoaming Agents are referred to as antifoam emulsion that has been designed to provide optimum antifoam performance combined with excellent dilution stability and foam knock down performance. In industrial units, foaming comes off as a huge problem. They affect surface coating and prevent proper filling of containers that might reduce the process speed and process equipment availability. The Defoaming Agents, formulated by Chemtex, provide a solution to this problem by reducing and deterring the formation of foam at the time of industrial process liquids. 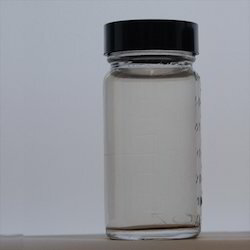 Chemtex Speciality Limited manufactured product Defoamer is referred to as an antifoam emulsion that has been designed to provide optimum antifoam performance combined with excellent dilution stability and foam knock down performance. In industrial units, foaming comes off as a huge problem. They affect surface coating and prevent proper filling of containers that might reduce the process speed and process equipment availability. The Defoamer, formulated by Chemtex, provides a solution to this problem by reducing and deterring the formation of foam at the time of industrial process liquids. 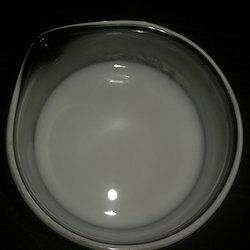 Looking for Foaming and Defoaming Agent ?